The Woodlark can sing beautifully, almost like yodelling. The song is different from the Skylark's because the latter is singing with trills and rollers. 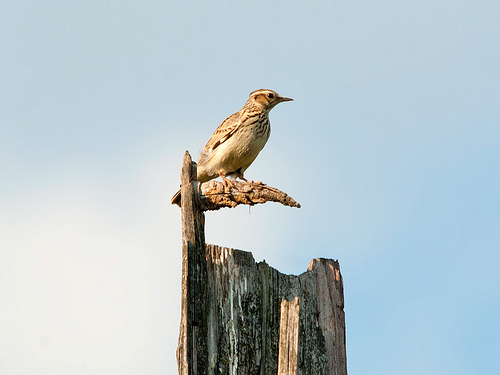 While singing, the Woodlark will slowly glide down to a treetop. 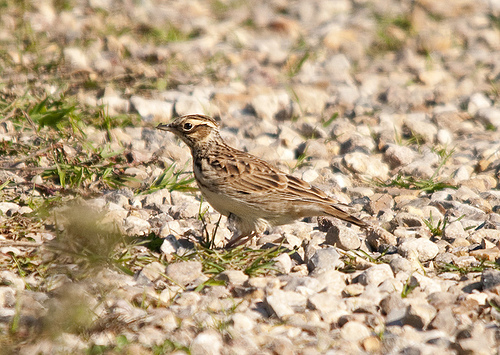 The Woodlark is seen in forests and bushes and has a distinctive yodelling song. The Skylark has a song with trills in it.